A Wireless Capsule endoscopy is a small video capsule that contains a miniature colour video camera with a light, transmitter and batteries to perform a painless examination of the small intestine. It is the size of a large vitamin /antibiotic capsule. Once swallowed or endoscopically placed, it travels through the gastrointestinal (GI) tract, sending multiple images a second to a recording device worn around the waist. The capsule is expelled from the body through normal bowel movement. The capsule is for a single use, and will not harm the environment or your household plumbing. 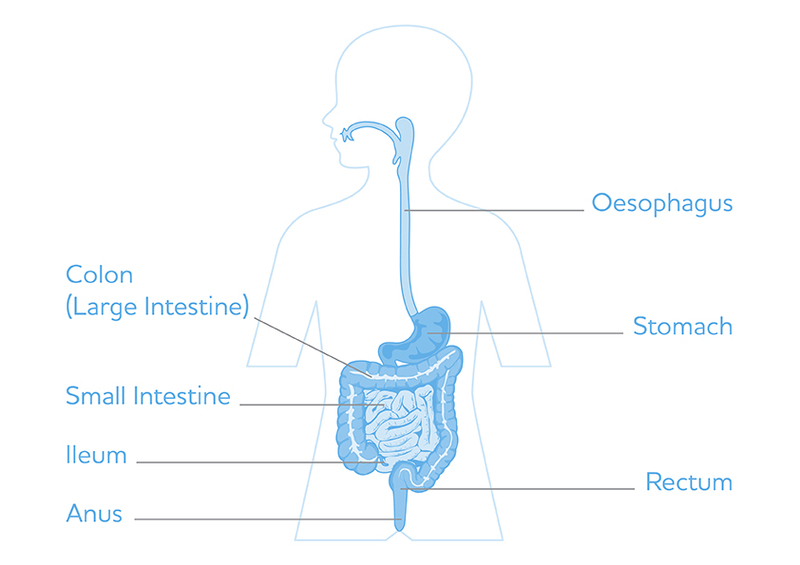 This test is required to enable the Consultant to view the mucosa (the lining) of the small intestine in an attempt to give you an answer for your child’s symptoms. This capsule is the least invasive method of viewing the mucosa of the small intestine in its entirety. What happens before the video capsule endoscopy? Your child’s Consultant will explain the planned procedure to you and ask for your consent in the outpatients department. You will also get a prescription for Bowel Preparation in the form of laxatives. The laxatives used here are Picolax and Sennakot. Once your child has had picolax and sennakot , your child must commence a clear fluid diet. They must not eat anymore solid food or milk. Your child should have a liquid diet from lunch time the day before. This includes jelly; soup, boiled and jelly sweets and any clear juice, water, black tea or coffee. It is important that your child drinks lots of clear fluids to assist the bowel preparation and maintain hydration. Your child should not have anything to eat or drink 10 hours before the wireless capsule endoscopy (e.g. NBM 22:00hrs for a 08:00hrs start). If desperately thirsty he/she may have sips of water only. Your child should wear loose 2 piece clothing. No lotions or powder to be applied to abdomen that day. The Consultant will explain the procedure and take consent for the test. The test involves the capsule either being swallowed or placed in the small intestine under a general anaesthetic by endoscopy. Sensors will be placed on the abdomen using sticky patches and connected by wires to a data recorder, which has to stay around the waist during the entire procedure. The time the capsule ingested or placed into the small intestine is to be recorded on the patient diary. A diary will be issued and you will be instructed how to use it. Your child is allowed to leave the hospital whilst the recording takes place. Your child must not eat or drink for 2 hours from ingestion. 2 hours after ingestion your child may have a drink of water. Your child may also have a snack. This snack should be as light as possible because a heavier meal slows down the journey of the capsule. The test last approximately 8 hours. Your child may go out of the hospital or even home during this time. Every 30 minutes please check that the LED on data recorder flashes 2 times per second in blue. If it stops flashing please come back to the hospital. Your child should resume normal activities. He should try to be as mobile as possible as this helps the capsule on its journey through the intestine. Running or jogging should be discouraged to prevent the data recorder dropping and breaking. If this happens the data could be lost. Activities that involve bending should also be discouraged because this can damage the sensors. After 8 hours of recording the data recorder and sensors need to be returned to the hospital. Your child does not need to come back, if the parents request they will be shown how to safely remove the sensors. Both the data recorder and the sensors must be returned to the hospital that day. The patient should not undergo a Magnetic Resonance Imaging (MRI) examination or be near any powerful magnetic fields until after the capsule has left the body. This is because the magnets may try to pull the capsule through the intestine and abdominal wall. The capsule should be passed over the next 24 – 72 hours or even longer, depending on your child’s normal bowel habit. It does not need to be returned just flushed away with the stool. If after 72 hours the capsule has not exited the bowel and your child develops a temperature, abdominal pain or vomiting. Please contact the hospital. As your child may have fasted for this test there is a small chance that he may become mildly dehydrated. Whilst on the ward and when you get home encourage them to drink regularly. Once the nurse is happy that your child is eating and drinking, walking and passed urine he may be discharged home. Very rarely, the capsule can become stuck in the digestive tract due to a blockage or narrowing of the intestines. If this happens you may require laxatives to assist the capsule on its journey. Your child is at a higher risk of blockage if he/she has a history of severe inflammatory bowel disease leading to a narrowing of the intestine, bowel obstruction or previous gastrointestinal surgery – be sure to discuss the risks with your doctor before the procedure. The results will be available at the next follow up appointment with your consultant.